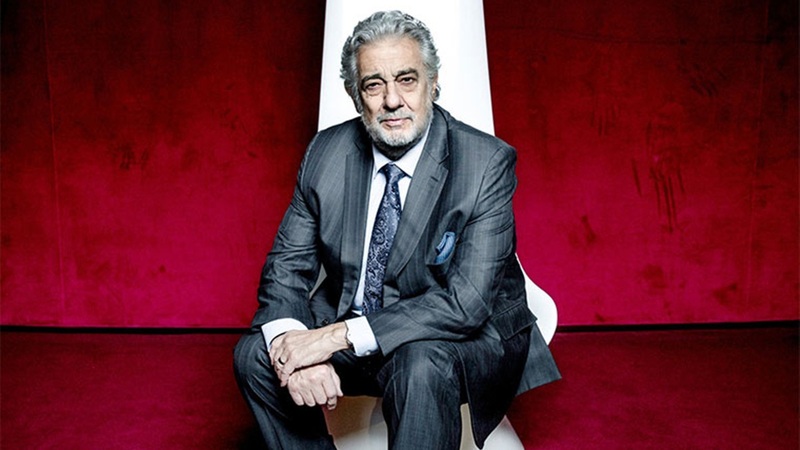 Iconic tenor turned baritone Plácido Domingo will receive the inaugural Honorary Fellowship of the International Opera Awards Foundation later this month at a fundraising event celebrating his legacy. A patron of the Awards since its founding in 2012, Domingo will take part in a Q & A session with his biographer Helena Matheopoulos, to be preceded by an illustrated talk about the singer’s impact. “Luke in the New Testament says ‘to whom much is given, much is expected.’ This is a sentiment that is very important to me as I believe all artists have a duty to mentor and support young talent. As the founder of the Operalia Competition and named Young Artist programmes at Washington National Opera, Los Angeles Opera and in Valencia, I have always made the promotion of young singers one of the most important things I do,” said Domingo. The 77-year-old singer continues to perform regularly in baritone roles, with his overall repertoire believed to now encompass 151 parts with close to 4000 professional performances. He also continues to conduct and remains Los Angeles Opera’s General Director, a position he has held since 2003. Domingo celebrated 50 years at the Metropolitan Opera in November last year, and is scheduled to sing Giorgio Germont at the Royal Opera House later this month among numerous other recital and conducting engagements. “In centuries to come people will marvel at Plácido Domingo’s extraordinary career and be envious of those of us who have been privileged to experience his artistry. No other singer has ever had a career that comes close to matching his,” said Harry Hyman, Founder of the International Opera Awards and the Opera Awards Foundation. The International Opera Awards are an annual celebration of excellence in opera around the world, and aim to raise the profile of the art form as a whole. The Awards raise money for The Opera Awards Foundation, which provides bursaries to emerging artists working in opera who are in financial need. The fundraising event honouring Domingo will be held on January 28 at the Royal Society of Arts, London. The tenor, a permanent member of the Opera Australia Chorus for 25 years, was charged with offences occurring in the mid 1990s. Despite a trio of nominations, including the Opera Australia Chorus, the predominantly European jury chose their own. In a wide-ranging 89th birthday interview the great mezzo speaks frankly about career and colleagues. The Opera Australia Chorus, Barrie Kosky’s production of The Nose and director Simon Stone are among the 2017 finalists. Gianni Schicchi, Puccini’s only comedy, was the last in his penultimate opera, Il Trittico, premiered in New York in 1918.Schicchi, often performed separately, tells of a money-grabbing family undone by an unscrupulous lawyer. Apart from the lawyer, the only people to emerge unscathed are Schicchi’s daughter Lauretta (she of O mio babbino caro fame) and her lover Rinuccio. Puccini was an entertainer. He didn’t moralise in the way Verdi did, but his operas, despite years of sniffing from the musical establishment remain brilliant creations, with remarkable melodies and superb orchestrations. His flair for the dramatic is ever present and the matching of music to text is remarkable. Rinuccio’s glorious aria in praise of Florence, for example, is tucked seamlessly into the narrative. Woody Allan directs adroitly, his added treats in no way undermining the work. The busy cast perform well, and although the days are long gone when opera singers could stand like statues, opera ‘acting’ still hovers. This is especially noticeable when the camera closes in on the action. Sadly, the audio recording is dead dull and the orchestra under Grant Gershon, performs perfunctorily. So buy it for Domingo’s saturnine Schicchi and Allen’s clever production. It’s not over yet for the legendary singer, who is lapping up his final world tour, and excited at embarking on his first cruise.